Today Venezuela’s armed forces will begin two days of nationwide drills, following public warnings from President Maduro about an “imperialist” invasion from the US. Mr Maduro has leaned heavily on military support as more of the Venezuelan state turns against him, especially the opposition-dominated National Assembly. Although some elements of the military have openly rebelled — an August 6 attack on a military base organized by rebel Captain Juan Carlos Cuagaripano left 2 dead — the bulk of the military remains deeply invested in the regime’s survival. 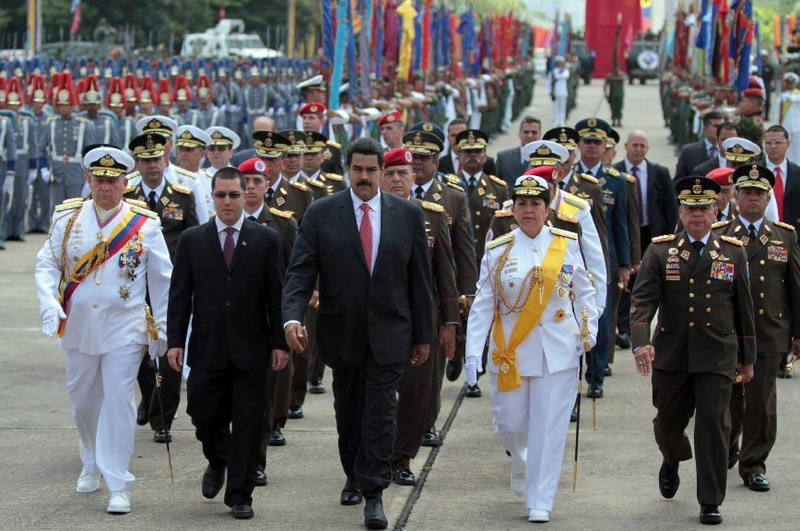 Venezuela’s 2,000 generals are handsomely compensated and deeply entrenched in the government, with 11 of 23 state governments ruled by former or current military officers. As long as Venezuela keeps exporting 300 million barrels of oil to the US every year and other crises distract the Trump administration, open conflict is unlikely. But the spectre of American intervention will allow Mr Maduro to strengthen his grip on the Venezuelan society and cast opposition leaders as agents of ”Yanqui imperialism”, accelerating Venezuela’s slide into military-backed authoritarianism.